When you choose to have a new sport facility built it’s important to consider all the options you have available. 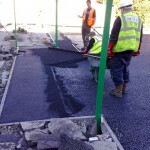 There are a number of factors to think about when carrying out a basketball court construction project. 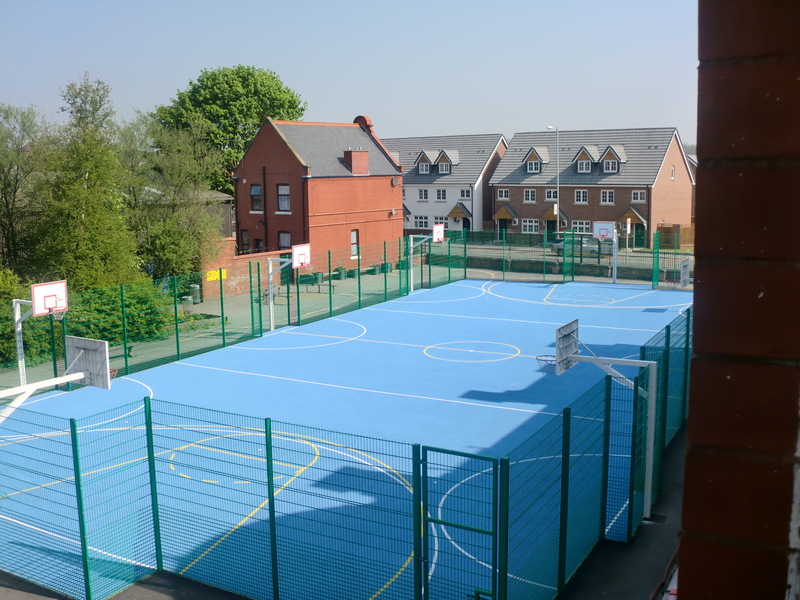 Whether it’s for a school, club or leisure centre it’s important to choose the right type of surfacing for your basketball facility to ensure you get the best performance and safety characteristics. As specialist contractors we would be happy to give you some more information and advise you on all of the options for this work. Every project is different and you’ll be able to customise the area to suit exactly what you want. We’ll also give you an idea of prices for installing these facilities so fill in the contact box to make an enquiry with us today. 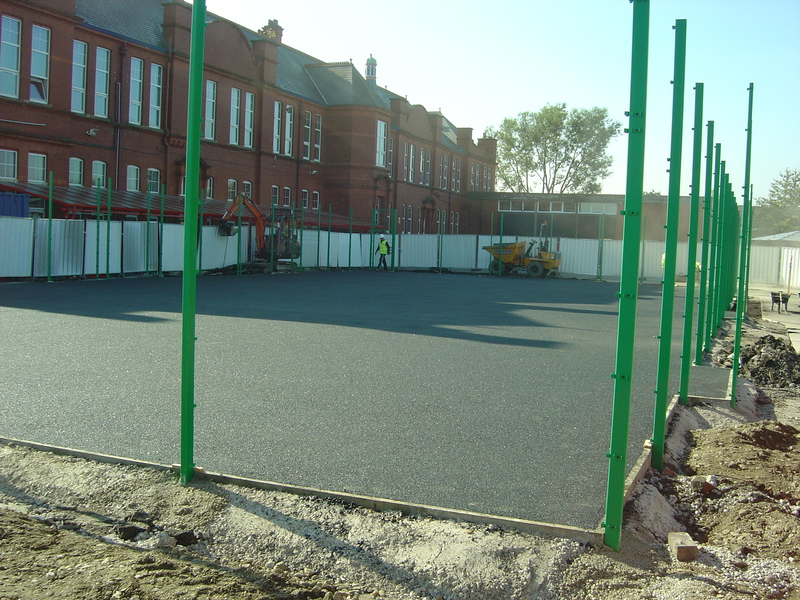 The most popular surfacing specification for basketball court construction is Type 1 macadam as this provides the most appropriate ball bounce and slip resistance qualities for basketball. 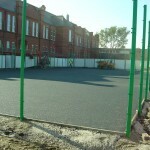 However if you’re installing a multi use games area to be used for a number of different sports including netball and tennis, you could choose a Type 2 macadam or Type 3 Polymeric surface which provides good all round playing characteristics for these sports. 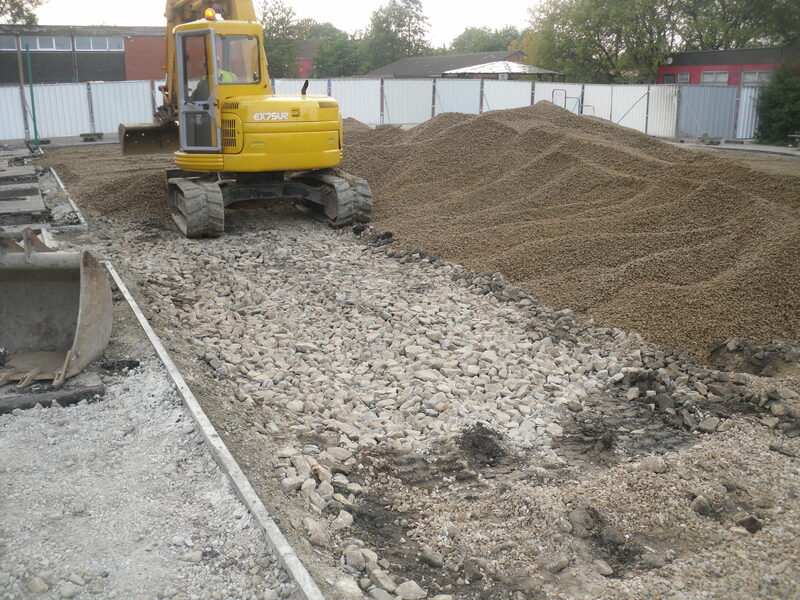 You can also have additional equipment and applications supplied as part of the overall construction work. These extras include floodlighting, sports rebound fencing in a range of specifications, and professional paint coatings and line markings. 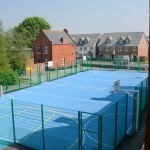 The sports court painting can be applied in a range of bright personalised colours and gives the surface better anti slip qualities which improve performance and enhance safety. You can also have clear line markings applied in contrasting colours to encourage precise game scoring and to distinguish between different sports on a multi use games area. Having line markings for a number of sports applied to your basketball court means you can rent the facility out for a range of different activities which will help increase revenue for your organisation. 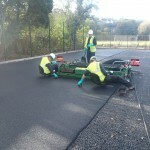 Basketball surface installation costs are different for each project and can depend on a number of factors including the surfacing specification, site location and the other sports which the court might be used for. You can manage certain variables within the construction process to help keep costs within your budget, for example adjusting the surface type and extra equipment you want to install can reduce the price of the overall sports court installation project. We can offer you a quote which suits your individual budget requirements but still ensures you get the end result you want at a great value price. 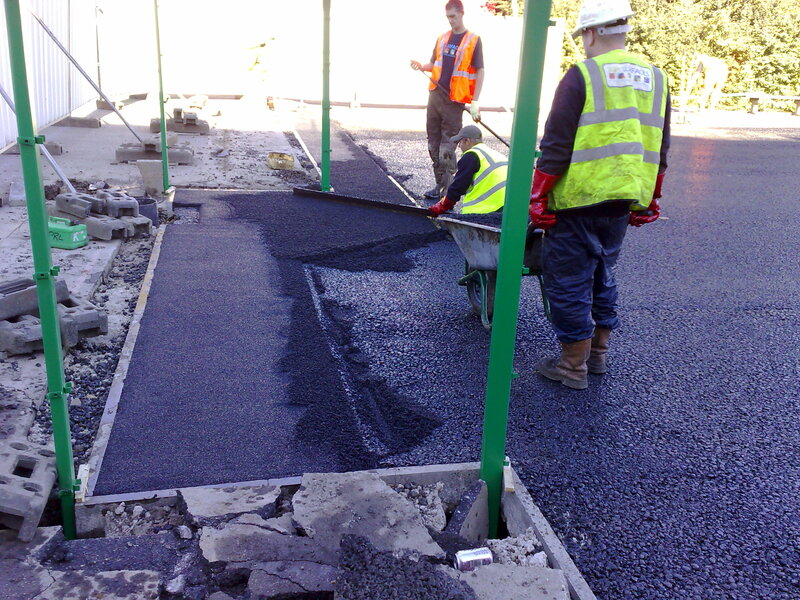 Having a regular maintenance schedule in place for your facility once it has been installed will also help to keep costs down as it reduces the need for expensive repairs and resurfacing which may be needed to tackle damage or weathering. Effective methods of cleaning and maintenance for a basketball court surface include regular brushing and jet washing to remove any debris and contaminants before they can damage the surface. 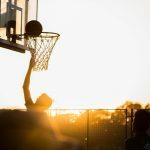 Carrying out appropriate maintenance will ensure that your basketball facility remains durable, safe for players and can be enjoyed for as long as possible. Feel free to contact our experts today for more advice and product information. Building sports facilities is a complex task but our experienced team will guide you through it and make the process as simple as possible. We’ll also help create the perfect design which looks and plays just how you want it. 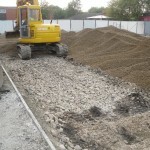 Fill in the contact form with your details to receive a quote for basketball court construction and we’ll get back to you as soon as possible. Tell us if there are any budget requirements you need to stick to so we can try and make the prices as affordable as possible.